Knowledge for many years was growing very slowly, but now is growing exponentially. For thousands of years until as recent as 150 years ago, the fastest mode of transportation was on the back of a horse or about 25 mph maximum. Now mankind has traveled over 25,000 mph on the way to the moon. What a difference! According to Norman Edmund, Founder of the Edmund Scientific Company, with computers and the Internet, the accessibility of information and knowledge is doubling probably every year and will double every 73 days by the year 2020. 2. Tsunamis and Typhoons wiping out many people. Around 20 B.C., God said Tsunamis and Typhoons will bring an end to the world. The increase of sexual immorality (including promiscuity and adultery in the heterosexual population, the strengthening of the gay/lesbian movement in political and media circles), the prevalence of lying (perjury), stealing (blue or white collar), disrespect for parents, covetousness, and hatred among the nations will accelerate the advent of God’s wrath against the world as a whole. 5. The accelerating growth of spiritualism and its pervasive teachings Multiple pagan groups are indicating that something major will happen at or around the year 2000. Followers of writers of the occult are predicting a global initiation, a “blood bath” of some sort, before the New World Order, with Lucifier (Satan) at its head, can take over. This involves the “termination” of those who resist the movement. The appearance of evil spirits posing as Mary, other “saints” and “departed loved ones” which were prophesied by a latter day prophet are rapidly increasing. 7. The re-discovery of Noah’s ark, Sodom & Gomorrah, the actual Red Sea crossing site (with its coral encrusted chariots, separate wheels and human skeletons), the real Mt. Sinai (Jabel el Laws in Saudi Arabia), and many other archeological finds provide compelling witness and proof to the truthfulness of the Bible. These were preserved in midst of unsuspecting people to minimize their vandalization so that they may be revealed at the proper time. 8. The end of 6000 years of transgression is at hand. It’s a commonly held theory among many Christians, which was also held by certain Jewish rabbis over 2,000 years ago, that God allocated one week of seven 1000-year days for a total of 7,000 years for sin to run its full course. 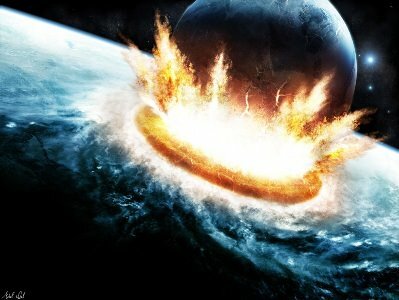 Revelation indicates that the seventh 1,000-year period is the millenium during which time the earth will lie desolate. 9. The end of the 70th Jubilee cycle since the Exodus has come and we’re in the period of final delay (tarrying) and time reconciliation. God is a God of order and His choice of dates is quite systematic. ALL time prophecies containing dates interpreted by the day-for-a-year principle have a beginning or an ending point (or both) on a Sabbatical or Jubilee year! 10. 11. 12 December 20, 2012 is coming and according to the predictions of Nostradamus and the Aztec calendar (nothing on their calendar is recorded after this) the world ends on that day, guaranteed. oh my god. 3 years and 2 months until THE end? really? fck. i better get going on my private spaceship build.